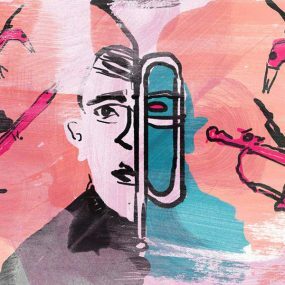 Pop music history is scattered with one-hit wonders in all shapes and sizes, from comedy songs to artists that really deserved better. 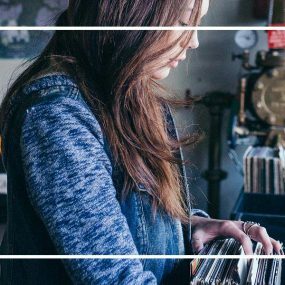 No one ever sets out to be a one-hit wonder. Even the most opportunistic milkers of momentary fads would rather eke out as much mileage as circumstances, and the record-buying public’s patience, will allow. 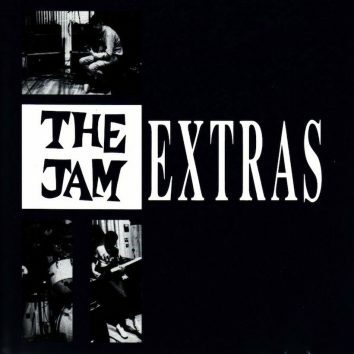 But many artists just happened to be at the right place at the right time – whether by accident or design – with a sole UK or US hit which took them all the way to No.1. Their moments in the sun captured the public’s fleeting infatuations more acutely than songs with a theoretically worthier place in the pantheon, and pop music history is now scattered with one-hit wonders in all shapes and sizes. Secondly, the satellite-besotted ‘Telstar’ by The Tornados mapped a fittingly stratospheric trajectory to the top both in the UK and the US, in October and December 1962, respectively. Again, The Tornados eked out a handful of other Top 40 appearances in their native UK, but their chart presence in the US was a one-shot affair: Joe Meek’s cavernous, awestruck production rode a wave of into-the-unknown excitement as the space race gathered momentum. In an open season for instrumentals, the house band at LA’s Rendezvous Records also went to No.1 in the UK in 1962, under the name B Bumble And The Stingers, with ‘Nut Rocker’. Producer/hustler Kim Fowley had acquired the copyright to an arrangement of Tchaikovsky’s ‘March Of The Toy Soldiers’, from The Nutcracker – subsequently rendered irresistible with a barrelhouse piano and a raucous, rocking beat. However, UK record buyers couldn’t be convinced that subsequent singles based on works by Rossini (‘Apple Knocker’) and Grieg (‘Dawn Cracker’) were such a hot idea. 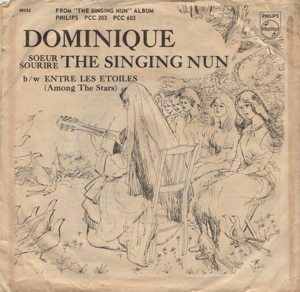 In 1963, the public fell heavily for ‘Dominique’, a plaintive but inescapably catchy piece written and performed by The Singing Nun, born Jeanne Deckers in Belgium in 1933. An American chart-topper, the song’s ubiquity led to the making of a preposterous 1966 film, The Singing Nun, starring Debbie Reynolds in the title role, but the conflicted Deckers was poorly served by her time in the spotlight. An object lesson in seizing the day was provided by ‘Ringo’, a spoken-word US No.1 in October 1964 for Canadian actor Lorne Greene. ‘Ringo’ simultaneously capitalised upon the success of Greene’s deathless TV western series, Bonanza, and, of course, the colossal American popularity of the similarly monikered moptop seated behind his Ludwig kit; in doing so, it immediately entered the pantheon of one-hit wonders. 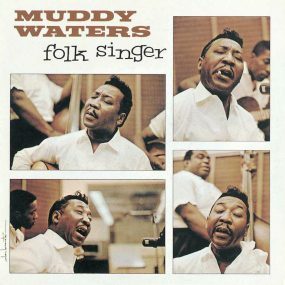 Greene smilingly maintained that the song, a drawled paean to the Old West outlaw Johnny Ringo, had nothing remotely to do with The Beatles’ drummer – but literally took the hit nevertheless. Two years later, the plummy ‘Winchester Cathedral’ by The New Vaudeville Band copped a handful of stylistic cues from The Bonzo Dog Doo-Dah Band and smartly nailed 1966’s modish preoccupation with bygone ephemera. Arguably the high-water mark of America’s crush on bowler-hats-and-cucumber-sandwiches Englishness, the single went to No.1 in the US and No.4 in the UK, and even won a Grammy. To his credit, Stephens kept the pot simmering in the UK with ‘Peek-A-Boo’, ‘Finchley Central’ and ‘Green Street Green’ – but couldn’t repeat the trick in the US. Also robbed of a lengthy career – though the operatic, pyrotechnic vocalist with flames licking from his scalp thankfully smoulders on to this day – were The Crazy World Of Arthur Brown, who topped the UK charts with the appropriately incendiary ‘Fire’ in August 1968. The band’s volatile personal chemistry reflected the combustible, unsustainable nature of their live repertoire, and prematurely consumed them, forever consigning them to one-hit wonders status. More’s the pity. One year later, Nebraskan duo Zager & Evans parlayed technofear, ecological concerns and general pessimism about mankind’s self-sabotaging future into ‘In The Year 2525 (Exordium And Terminus)’ – to date the only strictly defined one-hit wonder to reach the No.1 slot in both the UK and US. 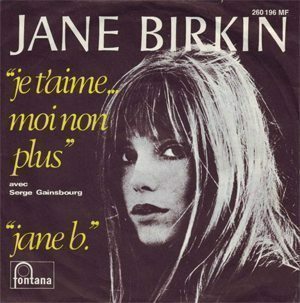 Duking it out alongside them in the UK Top 10 was the coolly controversial, sexually implicit (if not explicit) ‘Je T’Aime… Moi Non Plus’ by Jane Birkin and Serge Gainsbourg, which reached No.2 in August 1969 before their label, Fontana, lost its nerve; the Major Minor imprint subsequently rode it all the way to the top spot two months later. Timely film and TV tie-ins are always worth a punt: off the back of the western musical Paint Your Wagon, taciturn actor Lee Marvin scored the all-time gruntiest UK No.1 in 1970 with ‘Wand’rin’ Star’ – famously keeping ‘Let It Be’ off the top in the process – while Dad’s Army stalwart Clive Dunn tapped into the easy-option-for-a-Christmas-present market in 1971 with ‘Grandad’, co-written by session bassist Herbie Flowers and Kenny Pickett, former frontman with proto-psych art-rockers The Creation. 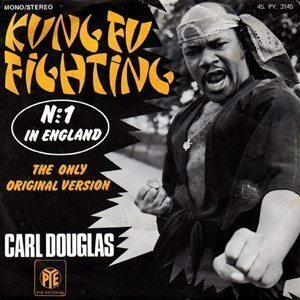 Three years later, Carl Douglas piggybacked the kung fu film craze with the endearingly inconsequential disco-soul of ‘Kung Fu Fighting’ – another one-shot deal in the US, though Douglas squeezed out the last few droplets in the UK with ‘Dance The Kung Fu’. In 1975, Britain’s enthusiasm for newly affordable package holidays was reflected in Typically Tropical’s determinedly lightweight ‘Barbados’, the cultural stereotyping of which was essentially benign. Flimsier still was ‘Disco Duck’ by Rick Dees And His Cast Of Idiots, which converted a one-joke gimmick into an American No.1 in October 1976, despite an equally sizeable outpouring of contempt. Meanwhile, ‘Uptown Top Ranking’ by Jamaican teenagers Althea & Donna was also recorded as a joke – a sassy response to Trinity’s ‘Three Piece Suit’ – but its blithe insouciance proved irresistible. 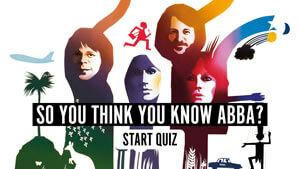 Regularly championed by tastemaking DJ John Peel in 1977, the song finally topped the UK charts in February 1978. 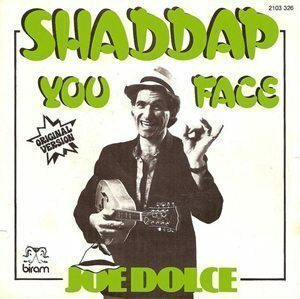 However, the most successful UK chart-topper in a jocular vein has to be 1981’s ‘Shaddap You Face’ by Joe Dolce Music Theatre – a multi-million-seller which spawned a glut of international cover versions and even begat ‘The Inspired Shaddap You Face Contest’, in which entrants proffer competing interpretations of the song. 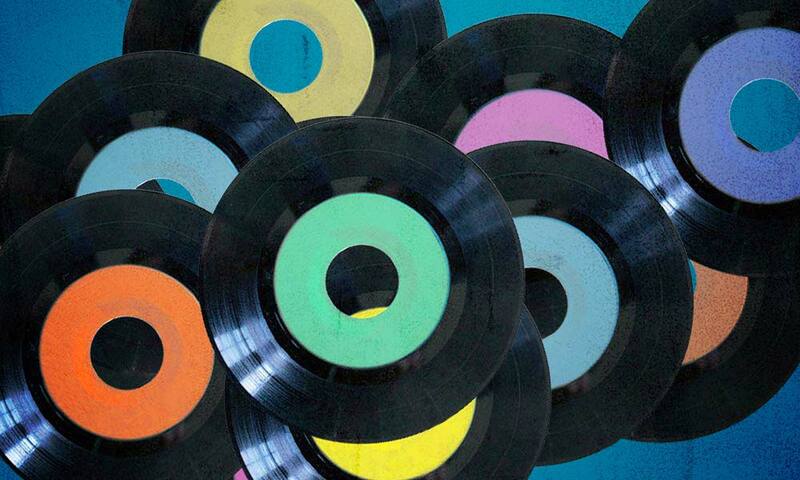 In more recent years, a new category of one-hit wonders has arisen. Those who denigrate TV talent shows often cite the limited shelf life of Steve Brookstein and Taylor Hicks. Brookstein, the first winner of The X Factor, had a 2004 UK No.1 with a reverential cover of Phil Collins’ ‘Against All Odds’ before rapidly falling from grace, while 2006 American Idol winner Hicks reached the top in the US with ‘Do I Make You Proud’, but was summarily banished to purgatory – Las Vegas. 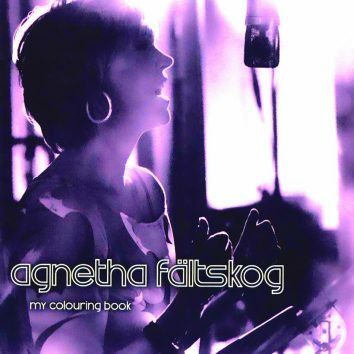 I was thinking, “I was Kaiser Bill’s Batman” by Whistling Jack Smith. Don’t know the song, but the title stuck with me since I saw it on a WLS (Chicago) Silver Dollar Survey mid ’60s.